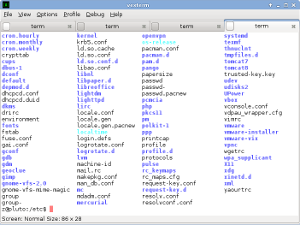 Vexterm is an open source GTK+ terminal client. It is build upon libvexterm which is the corresponding terminal library written in C using the GObject library. The library builds upon GTK, Cairo and Pango.